We have been learning about Space and the Solar System. 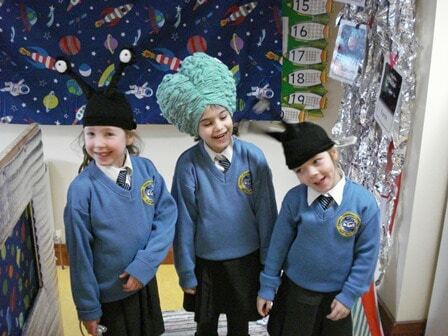 During our playtime we get the chance to be astronauts and fly a rocket to different planets. We can also play aliens and the astronauts who landed on our planet have been asking us lots of interesting questions about life on our planet. We also learnt about the first man who walked on the moon. Ask us to tell you about the moon and the names of the men who flew the Apollo 11 to the moon. We have had great fun exploring the Solar System in our rocket. Please click here to see some more photographs.